Peach Street Distillers— makers of Jackelope Gin— are something of the old kid on the block when it comes to the craft distillery movement. Founded by brewers turned distillers in 2004, Peach Street won “Distillery of the Year” in 2012, at a time when craft spirits were still just taking off in the United States. Colorado’s progressive stance during the craft brewing movement inspired the state to be one of the first to really loosen up old prohibition era regulations to inspire the craft distilling movement to blossom hastily. Peach Street Distillers has several gins, including Tub Gin, and four variations on their flagship Jackelope Gin. Jackelope is distilled from a base of grain and features seven botanicals including hand-picked juniper. Jackelope Gin has a gentle pine and lemon forward nose. Very piney juniper note, and a very vivid, almost Meyer Lemon character to the citrus. Clean and inviting. The palate begins with citrus up front. Notes of linalool, coriander, and hibiscus lend Jackelope Gin a floral/fruity mid-palate. Towards the end it turns a bit more spice forward. A more traditional gin note of coriander segues into an unusual note of Macademia Nut. The finish has a surprisingly dry minerality to it— it leaves the palate with a sensation somewhere between calcium/chalk and the bitterness you get from quinine. Especially as a counterpoint to the earlier more vivid notes, the finish brings it home and lends Jackelope Gin a nice balance. Mixed with tonic, Jackelope Gin becomes surprisingly more nutty and spice-forward. Some of those fruit notes I picked up when sipping it neat. The Gin and Tonic is a spicy, robust and earthy mix of pecan, forest floor, coriander and resin-forward-juniper. As for the Martini, garnished with a twist it plays up the citrus on the nose while the Vermouth amplifies that earthy minerality on the finish. 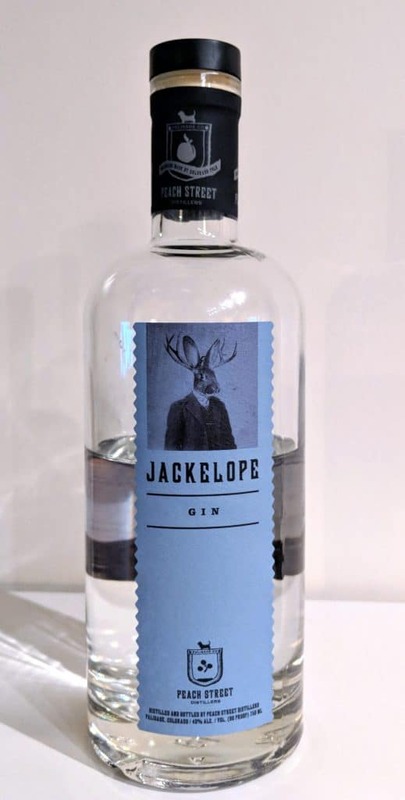 Jackelope Gin pairs nicely with citrus and is a good gin choice if you’re making Tom Collins or Aviation cocktails. Delicious. Jackelope Gin introduces a kind of balance not usually tasted in gins. I’m not sure the botanical blend— but that finish is rather unique. Otherwise, while the flavor deviates from the classic juniper-forward approach, Jackelope is contemporary and spice-forward— and quite nicely done. The only downside might be that mid-palate confluence of botanicals that comes across as heavily linalool influenced with that tinge of fruit loop. Otherwise, it’s a good gin that shows its best side in cocktails.